The technical term for bad breath is halitosis. While it’s usually not a cause for medical attention, it can still be embarrassing. If you do suffer from chronic halitosis, see your dentist to make sure there isn’t something else going on. An underlying cause of bad breath could be gum disease, which can require professional intervention. But if you’re one of more than 80 million people who suffer from chronic or intermittent bad breath, read on to find out how to help keep a fresh breath. Drink up—48 ounces of water a day is great for fresh breath. Hydrate or die-drate! Not really, but loading up on your H2O is a great way to keep fresh breath. You should be drinking anywhere from 48-64 ounces of water daily—six to eight cups—but suggested water intake can differ from person to person. Water is a great way to combat bad breath naturally. Staying hydrated will prevent dry mouth, which is a prime condition for the bacteria that causes bad breath. In addition, if you’re in a pinch, swishing water around your mouth is a great way to wash away food debris and other particle buildup on your teeth and gums that may be causing bad breath. Though mouthwash may be ideal, it’s much easier to access a cup of water when you’re out and about. There are many other reasons you should drink water in addition to attaining that minty freshness. Your body is constantly releasing water, whether it be through urine or sweat. Dehydration can greatly inhibit brain functioning and physical performance. It’s especially important to drink up during the warmer months, because heat only adds to the stress your body is already under. 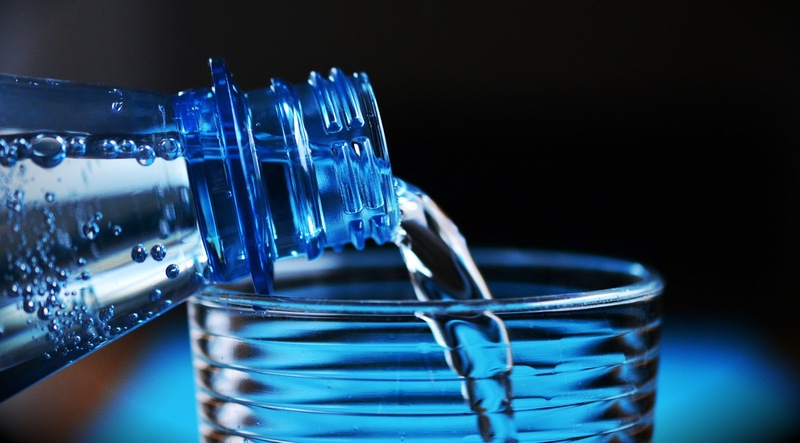 Some benefits of drinking water include fresh, youthful-looking skin, calorie control, and energized muscles. So invest in a nice reusable water bottle to help the environment, your body, and your breath. This one may seem weird, because people often leave their tongue out of their oral hygiene regimen. But it turns out that your tongue is a perfect home for bad breath bacteria. Food debris can build up in the folds of the tongue and bacteria loves to hang out on your tastebuds and release a foul-smelling byproduct. Both processes contribute to a funky breath. Cleaning your tongue can also help with dry mouth, which you previously read also leads to bad breath. There are a few ways to go about cleaning your tongue. Consider grabbing a tongue scraper the next time you’re at the drugstore. Scrapers can be made of metal or plastic and are usually pretty small. There’s a rounded edge you use to scrape your tongue with, starting from the back of your mouth and pulling it to the front, scraping the film of bacteria and debris that had been sitting on your tongue. This film of particles and such can sometimes look yellow-ish, so take a look in the mirror if it feels like your breath smells and see if that’s the cause. Then boom, problem solved! Plus, tongue scrapers tend to run for under $10. If you don’t have a tongue scraper handy, you can clean your tongue with your toothbrush. But be warned, this isn’t always the most comfortable. Have a Brushee handy if you know you’re going to be eating something smelly. One of the best ways to fight bad breath is regular oral hygiene. Brushing twice a day is essential to clean the food particles on your teeth. It’s important to floss too, because it loosens the particles stuck in your gums that your toothbrush couldn’t reach. If you don’t rid your mouth of food debris, they will team up with the bacteria in your mouth for a real stanky breath. It may be beneficial for you to brush more than twice a day, especially after eating, to fight those bad-breath-inducing food particles. Since you don’t always have access to a toothbrush and floss after a meal, enter your Brushee! It’s perfect to keep in your bag when going out without having to bring your oral hygiene tools with you everywhere you go. Plus, the Brushee releases built-in toothpaste when you brush, so no need to deal with a bulky tube (or keep track of those tiny travel ones). Keep in mind that for certain foods, you shouldn’t brush immediately after eating. You should wait at least 30 minutes after eating anything acidic to brush your teeth. Acid weakens your tooth enamel, and brushing while your teeth are in that weakened state can lead to further damage. If this is the case, try brushing before eating and wash away the acid from eating with a glass of water. It’s important to add mouthwash in your oral hygiene routine (try a travel size bottle to keep in your bag with your Brushee). Opt for an alcohol-free variety, since alcohol dries out your mouth. While it’s important to take care of your body, improving certain health habits can help with the bad breath problem. You should try your best to be eating healthy, as its own set of benefits aside from fighting bad breath. Nutritious, crunchy foods such as celery and apples can help dislodge food particles sitting on or between your teeth that lead to bad breath. While a carrot stick can act as somewhat of a natural toothbrush in a pinch, veggies in general are good for oral health. Eating vegetables helps balance the acidity in your body that causes bad breath. Another way to affect your breath through your diet is by opting for less fat and healthier carbs. When you eat fatty foods, your body creates a byproduct called ketones while breaking down your food. Ketones ferment and release an odor that goes up through your esophagus and sits on your tongue. Healthy carbs, like fruits and veggies, help balance the odor from ketones. You’re probably familiar with the smell of tobacco and how that contributes to bad breath. This smell is often hard to kick, even after a round of oral hygiene. In addition, smoking tobacco dries out the mouth, which causes bad breath bacteria to grow. Cigarettes also inhibit your saliva flow and dries out mouth tissues, disrupting your mouth’s regular function. So if you needed a reason to quit smoking or something to keep you from starting in the first place, remember that tobacco leads to bad breath. In addition to your Brushee, keep gum or mints in your bag to temporarily help with bad breath. These breath helpers are good for a quick interaction—a kiss maybe—but they won’t really help what’s causing your bad breath. A trip to the sink is the best way to remove food debris and bad breath bacteria. Chewing gum can improve oral health by removing some of the bacteria, but when deciding on which pack to buy, make sure it’s sugar-free. Instead of putting more bacteria in your mouth with sugary gum, choose a brand with xylitol, an antibacterial sweetener. If gum isn’t for you, try a mint or breath gel, also with xylitol. Chewing or sucking on something can boost your saliva flow, keeping you from dry mouth and helping fight the bacteria and food particles on your tongue which cause bad breath. So if you want the cleaning benefits and immediately better breath, opt for a sugar-free mint or gum. Eat a cup of yogurt for some breath-helping probiotics. There are certain foods you can eat to improve your breath, which may be preferred over something more artificial. Here are some things to keep in your fridge or cabinet when you often find yourself with bad breath. Yogurt. Yogurt has lots of probiotics, which a study showed help reduce bad breath. 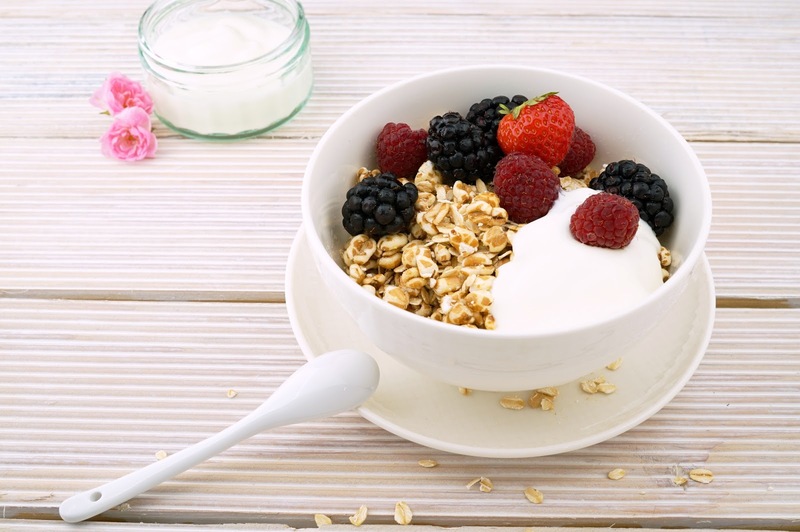 When shopping for yogurt, opt for a plain, nonfat variety with low sugar. Vitamin C. Peel open an orange, because studies show that vitamin C boosts saliva production, which we know contributes to fighting bad breath. Parsley. It might be weird to chew on a parsley leaf after eating, but it's great at fighting odor because of parsley's high chlorophyll content. Seeds. Fennel or anise seeds have essential oils that smell good, making your breath smell good after you eat them. Green tea. A cup of green tea can have deodorizing and disinfecting effects, so go for a mint green tea for double the action. You can also try a homemade mouthwash if the ones in the store aren’t right for you. Use vinegar or baking soda with water to kick bad breath germs and particles. Try some of these options to fight bad breath. If it becomes an intense, chronic problem, head over to your dentist to make sure there isn’t something else causing the foul odor. What do you think is essential to help bad breath? Let us know in the comments!